The heart of Scotland’s capital has been transformed into a romantic Christmas extravaganza. Although the Edinburgh Christmas Market is already in full swing, we knew that we could not leave it unmentioned in our monthly blog. The market opened its doors to the public on 18 November and will remain the centre of attraction for six weeks until 6 January. 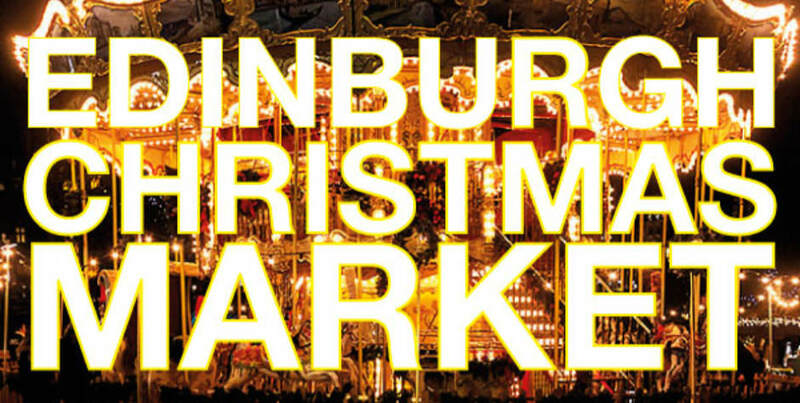 The Edinburgh Christmas Market is held in the Princes Street Gardens and is one of the most anticipated events on the Edinburgh calendar. The market is open from 10 am – 10 pm and entry is free of charge. Unfortunately, patrons will need to pay for any of the rides or shows that they attend. The good news is that there is a 20% discount for all local residents. Friends and family will enjoy a plethora of delights including craft and art exhibitions, gift shops and gastronomic surprises. Get into the Christmas spirit! Make sure you enjoy a Glayva and Coffee or a Rum Chata Hot Chocolate at one of our festive street bars. If the loud festive activities is not your cup of tea, we have something perfect just for you. All party-lovers can enjoy quality disco fun without all the racket from blaring house speakers. Everyone is issued a head set which receives the broadcast from the DJ. This is brilliant family fun. Tickets from £10.00 (includes £1.00 in fees per ticket). Please click here to purchase. If you are attending Edinburgh Christmas Market, please plan ahead. It is important to note that this is a very popular event. Why not make the most of your visit and avoid the long drive home afterwards? B+B Edinburgh is perfectly located with quick access routes to the Christmas festive experience of a life time.